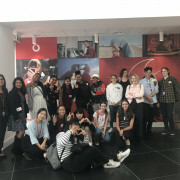 Vodafone worldwide has developed the Code Like A Girl programme to help encourage more girls to consider careers in engineering and technology. Computational thinking is the foundation for these types of careers, and Coding is a great way to develop it. The four-day programme is run from the Vodafone campus at Smales Farm on the North Shore. Each day the students have to arrive at school early and make the long journey through traffic across the harbour bridge. They absorb some of the basics of how people behave at work, and through presentations by Vodafone staff, get to learn about different types of work. In the workshop, they are formed into groups of three and have to work together, first on a creative idea for a website, and then to build it. In these ways, the programme develops work-ready skills like time management and collaboration, as well as competence in Coding. At the end of the workshop, the students presented their websites to a Vodafone judging panel. The websites were all quite different – from KPop, to Dogs, Fashion, Life Advice, and DIY Life Hacks. It was clear from the judges’ feedback about the high quality of the websites that the girls had represented their school with excellence. Below are some student reflections of this programme, held 25-28 March. Digital skills are the way of the future. We are being measured on our digital fluency for the Learner Profile, so it was good to have this opportunity of Code Like A Girl to develop some digital skills. I liked how we could be creative, as well as learning to code. It was a challenge with coding because if you just put one letter wrong, or a bracket in the wrong place, the whole thing was messed up. But the Vodafone people were hands-on showing us how to do it. Because they taught us so well in the first three days, by the fourth day we had the idea of how to do things. We have a website now, and I’d like to be able to expand on what we’ve made. I also have the skills now to be able to build a website for another learning project. 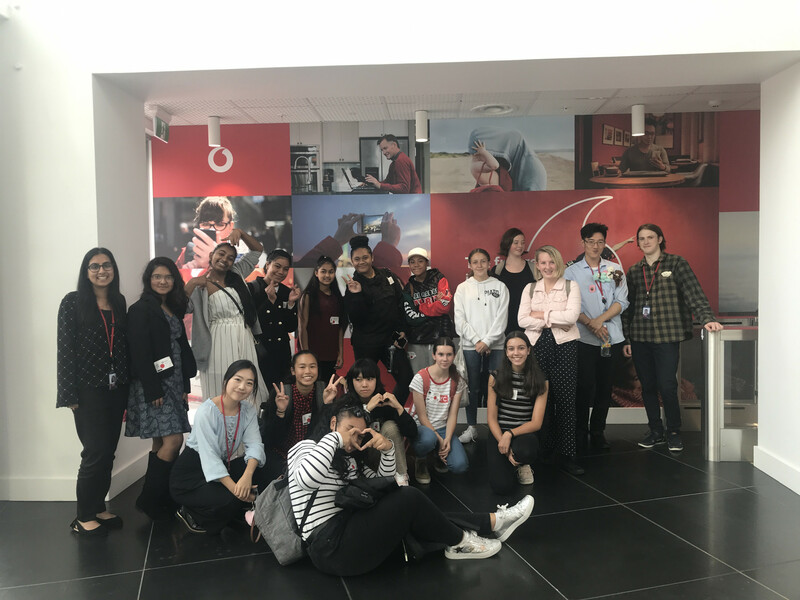 “Life opens up opportunities for you, and you either take them or you stay afraid of taking them.” Several other girls and I had a phenomenal opportunity offered when we were invited to attend a coding workshop held by Vodafone. Coding has changed so much throughout the past couple of years. Recently, creative coding has been very popular when it comes to teaching younger people. In simple words creative coding is a type of computer programming where the goal is to create something expressive instead of functional. This experience that I and 13 other girls had was similar. The four days spent at Vodafone’s “Code Like a Girl” programme was an eye opening and hands-on experience. We were taught the art of coding and how to build a website off that knowledge. In just a couple of days several girls went from barely knowing what coding was to learning enough about the subject to code an entire website from scratch. We learnt everything from basic tags in HTML to how to link a HTML and a CSS file together. How to insert pictures and buttons and videos then adjust to your liking. The websites were designed and made in groups of three or two and surprisingly there was a wide range of themes across the five websites. Our instructors were kind and supportive throughout the course of coding our websites. Even when they were not helping us with our technique or code, they were telling stories about their experiences here, their background with technology, where they went to university and what they studied, all while asking us about our plans for the future, career paths we want to follow and giving us wonderful advice. We all felt that we could personally connect with them. During our coding journey many motivational women speakers who work for Vodafone were brought in, to share their journey and in hopes of inspiring us to follow our dreams and the profession we wish to pursue. One of them was a former Manurewa High School student, Crystal Harvey, who shared her perspective on how she went from being told she would drop out of high school by the school’s dean, to now having university behind her and working in one of the biggest tech companies in New Zealand. On the last day, three judges were brought in and group by group we presented our websites to everyone in the room. It was fascinating to see the different subject matters shown so well by each group. This programme gave everyone great exposure about technology and coding. We all made so many new friends, learnt so much, and had fun along the way. Thank you to everyone who had a hand in making this happen or was a part of it.